TV COVERAGE: BTN - Wayne Larrivee and Tim Doyle will call the action. 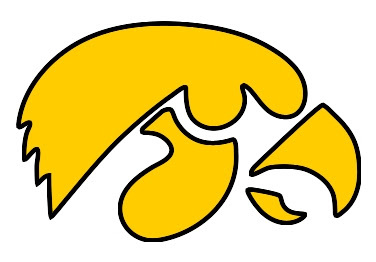 LINE - Iowa is an 11 point underdog on the road. Iowa was rejuvenated by the return of their captain, senior forward, Cyrus Tate last time out vs. Northwestern and pulled off a much needed win. The win really put a damper on the Wildcats' postseason hopes, while it put an end to an awful eight game string the Hawks had put together (interesting that the eight games were without Tate). For Wisconsin, it's been a Big Ten season of streaks. They started out winning the first three games in conference play (albeit beating 3 of the 4 worst teams in the Big Ten), then they went into a 6 game funk (the longest losing streak under Bo Ryan), and now they have seemingly righted the ship winning the last two contests. Wisconsin is another "system" program like Iowa, where you find the players to plug into your system and have them perform efficiently. Bucky doesn't turn the ball over, in fact, they are in the Top 10 in the nation in turnover %. At the same time, they don't force turnovers, either - so it's sort of wash in that regard. While they don't shoot the ball as well as Iowa, they are more efficient with it. UW has a 1.16 A/TO ratio, while Iowa has a .97 A/TO ratio. Wisconsin also has a fairly experienced team (much more experienced than Iowa for that fact). FIRST PERSON TO 55 WINS!!! Both of these teams are painfully deliberate on the offensive side of the ball. Iowa averages 58 possessions per game, Wisconsin averages 3 more; both are in the bottom 10 in the nation. Wisconsin is not a team that loses at home, however both Minnesota and Purdue have escaped Madison with "W"s in conference. Overall, Wisconsin is 9-3 at home, while Iowa is 1-8 on the road (the one win being over The Citadel). With Tate back in the lineup and, presumably, getting more minutes than last time out, Iowa should ready to battle the Badgers. The Kohl center will undoubtedly be rocking tonight, but if Iowa's shooters (41% from 3 pt land, 4th best in the nation) can get the shots to fall Iowa has a shot in this one. If Tate and Cole are allowed to be physical down low (and why not, with the things Krabbenhoft is allowed to do), it could be a gem of a game. Pomeroy gives Iowa a 16% chance to win the game.